Select your voltage to see specific product content. ranging from μA single cell applications up to 1MW packs. Battery module testing in temperature chambers. Testing pouch cells with a cycler and battery rack from Arbin. High accuracy EIS measurements can be multiplexed for all channels in a multi-channel system using a 3rd party EIS module. This plot illustrates the difference between an Arbin battery tester and another leading manufacturer. The two distinct dips in the plot may have been missed using inferior test equipment. While many companies try to sell the same antiquated equipment for over a decade, Arbin has been hard at work improving our designs to meet future industry demands. We learned a lot during our three year ARPA-E project to develop high-current high-precision testers, and have implemented this new technology in our MSTAT, LBT and HPT test equipment series. The HPT and MSTAT systems represent our premium product, but LBT is superior to other standard testers on the market. Measurement precision is more critical for long‐term battery testing and long‐term battery projections than control accuracy alone. Most other battery testing systems do not correctly specify their precision and/or have relatively poor precision, which hinder the conclusions drawn from results data. Important trends and electrochemical indicators may remain unnoticed; lost in the measurement noise as illustrated above. Our hope is that these higher degrees of measurement precision will lead to new discoveries and characterization metrics across the energy storage industry for all organizations, not only those looking at coulombic efficiency as a key indicator. Batteries are a critical component of many products, and energy storage plays a very active role in our lives even outside of the research/industry setting. Therefore, selecting the right battery test equipment is an important decision for companies and the individual researchers who are responsible for producing results, whether they are starting small, or at massive scale. The expert engineers at Arbin have been advancing the benchmark of “state-of-the-art” battery test equipment for over 27 years. 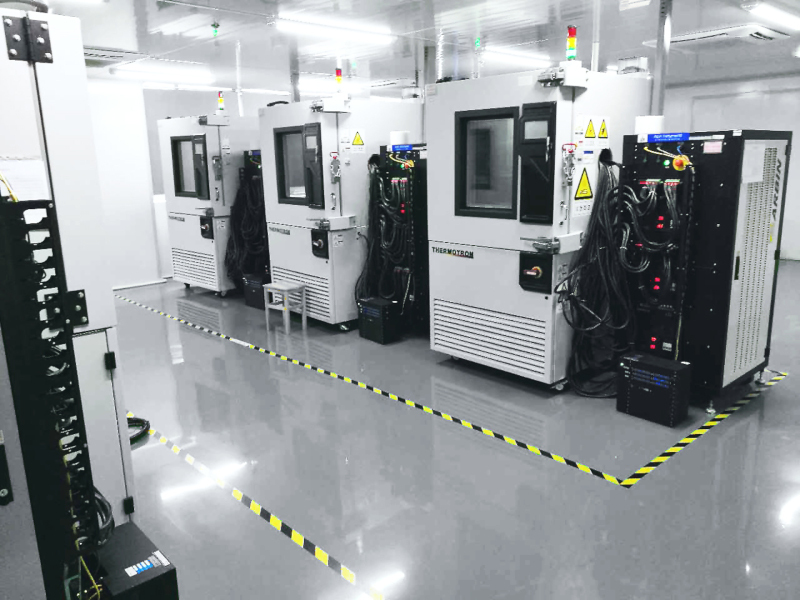 We are defined by innovation, from being the first to apply multiple current ranges on a single test channel to more recently being the only company to offer true high-precision testing for high current applications, and supporting “Turbo Mode” with smart battery modules. We continue to learn from our industry partners and work with them on key technology breakthroughs. Arbin has thousands of systems running in over 50 countries around the world.